A woman aged in her 80s is being treated in hospital after she was struck by a car in Newtownards earlier today. 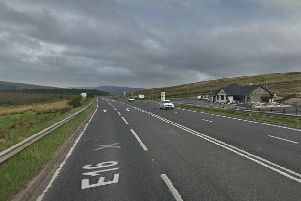 A man aged in his 50s has been arrested in connection with the incident, which occurred on the Bangor Road this afternoon. A PSNI spokesperson said the woman’s condition is described as “serious”. Sergeant Morris-Dickson said: “A woman in her 80s has been taken to hospital after being struck by a car in the area. Her condition is described as serious at this time. “One man aged in his 50s has been arrested in relation to the incident. He is currently in police custody. The Bangor Road was closed to traffic while emergency services attended the scene, but it has since reopened.